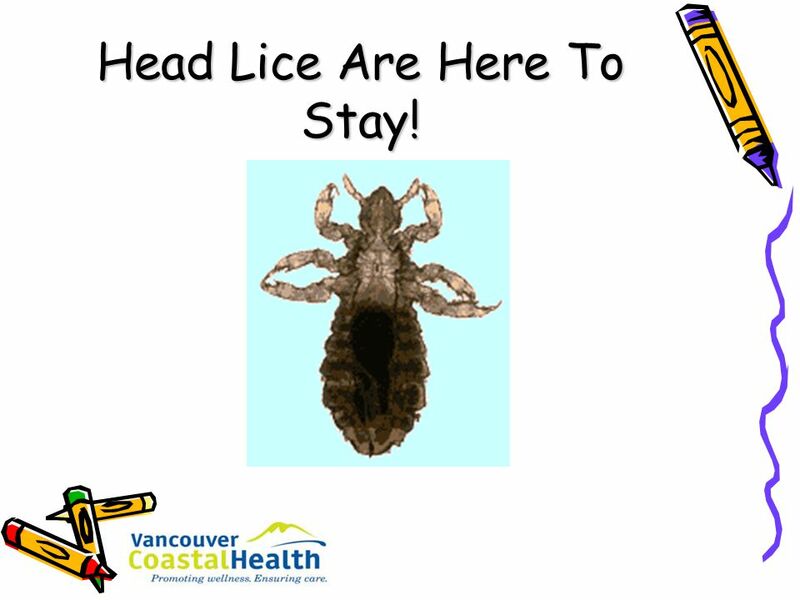 2 Head Lice Are Here To Stay! 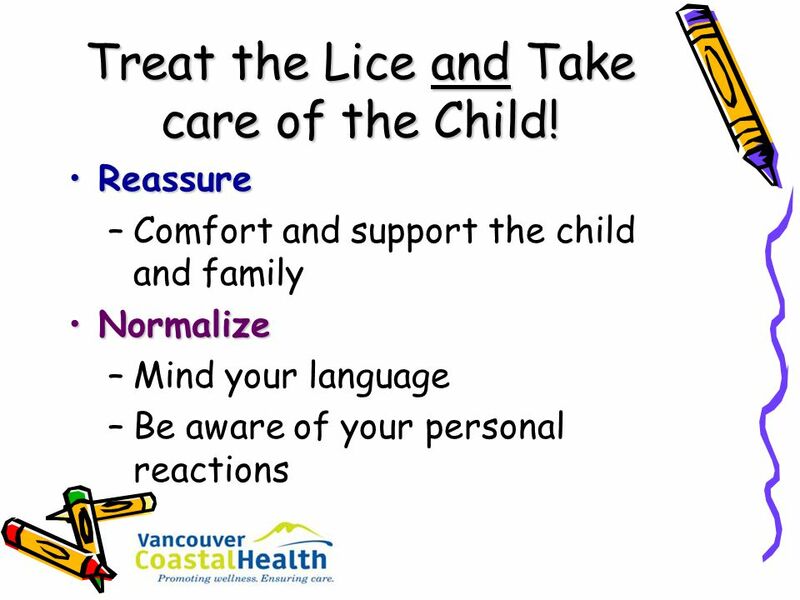 9 Treat the Lice and Take care of the Child! 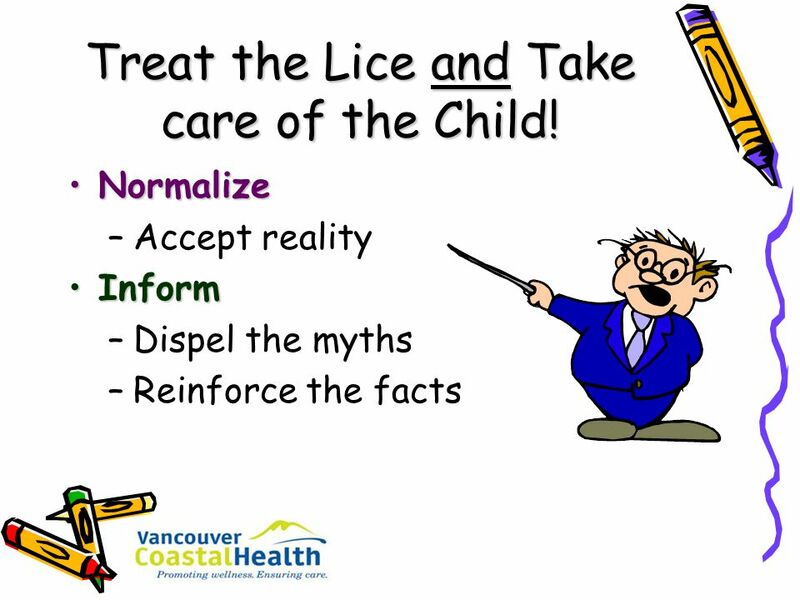 10 Treat the Lice and Take care of the Child! 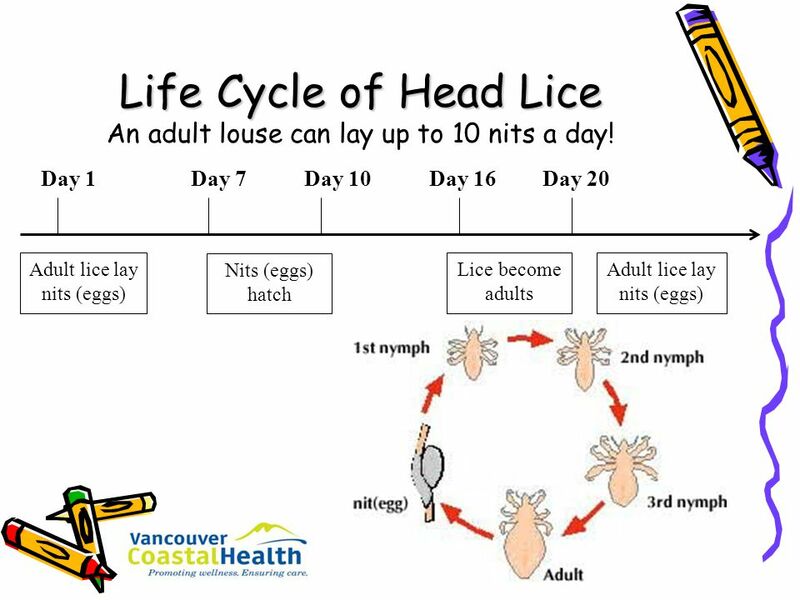 11 Life Cycle of Head Lice An adult louse can lay up to 10 nits a day! 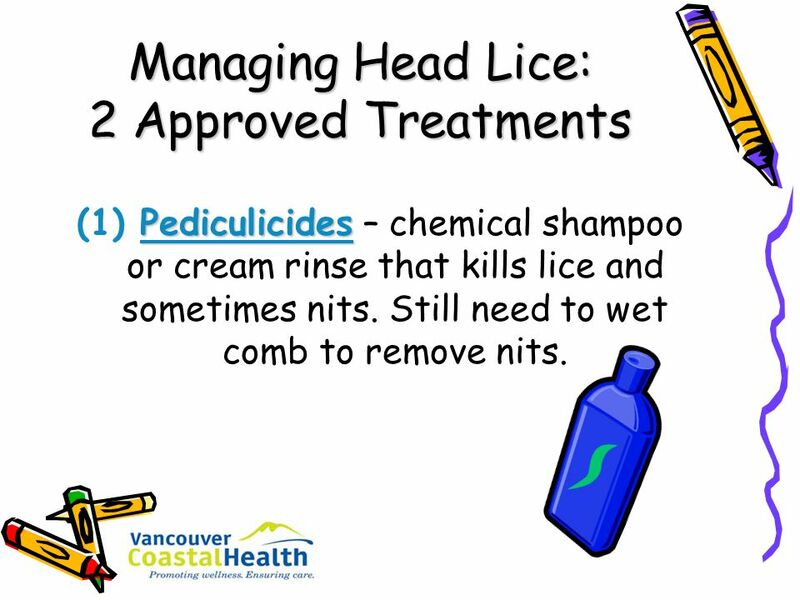 (1) Pediculicides – chemical shampoo or cream rinse that kills lice and sometimes nits. 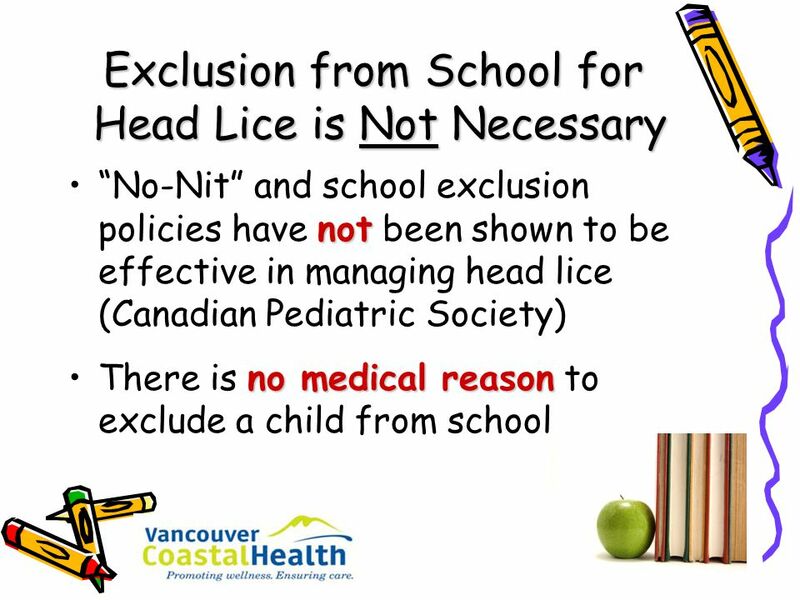 Still need to wet comb to remove nits. 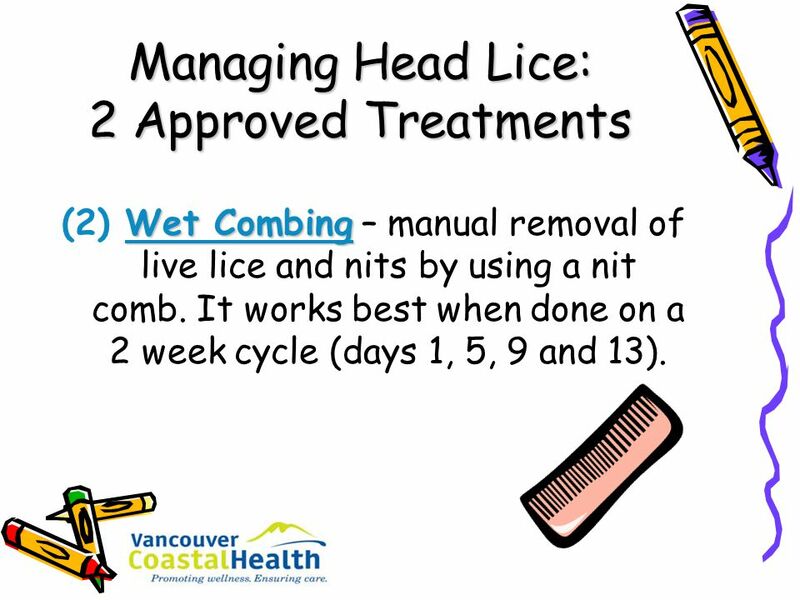 (2) Wet Combing – manual removal of live lice and nits by using a nit comb. It works best when done on a 2 week cycle (days 1, 5, 9 and 13). 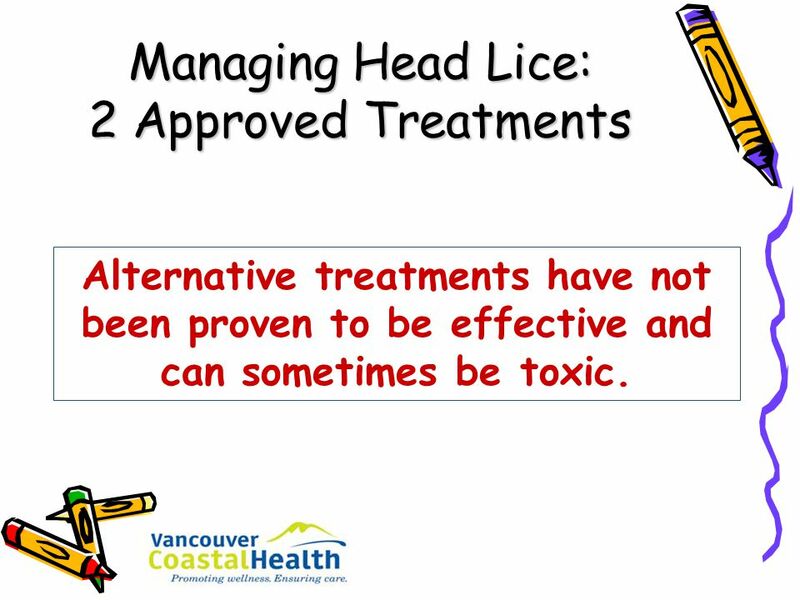 Alternative treatments have not been proven to be effective and can sometimes be toxic. 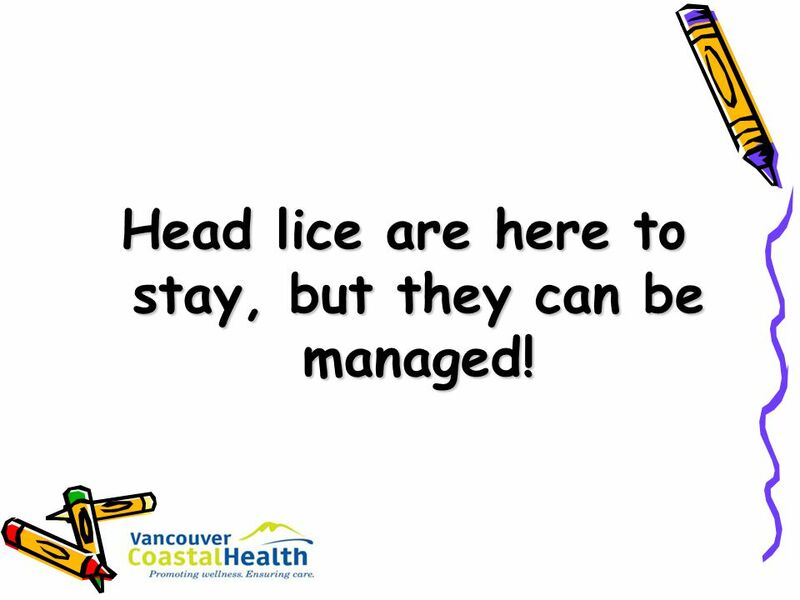 24 Head lice are here to stay, but they can be managed! Find a comfortable well-lit area. 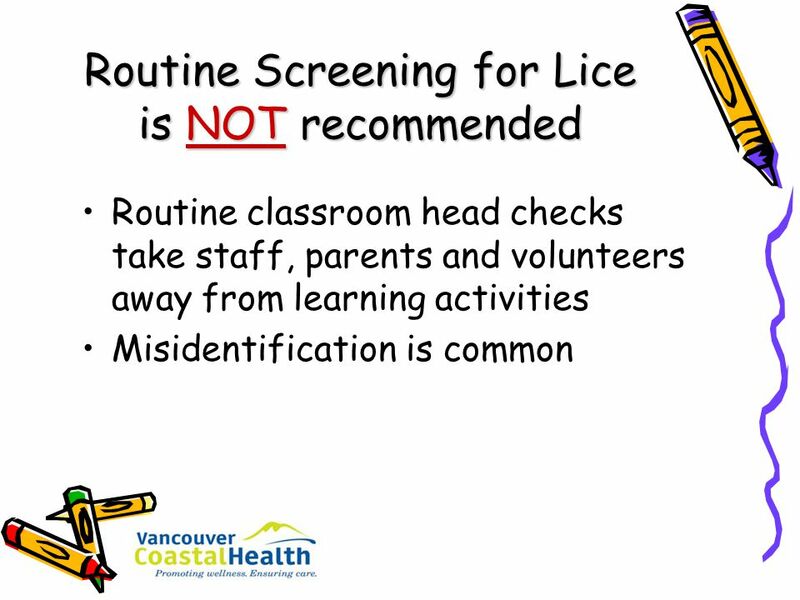 Use a fine toothed (lice) comb. Wet the hair and put conditioner in it (do not rinse). 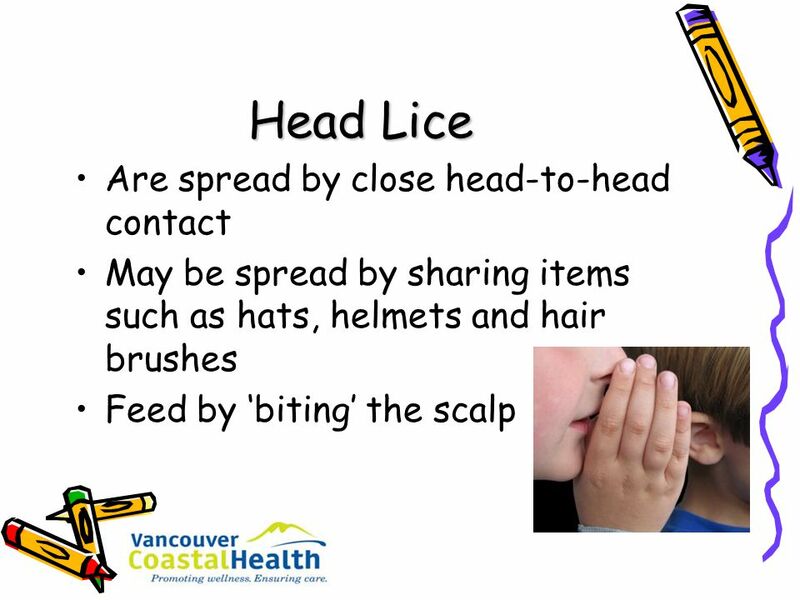 Divide the hair into small sections and comb from the base of the scalp to the ends of the hair. 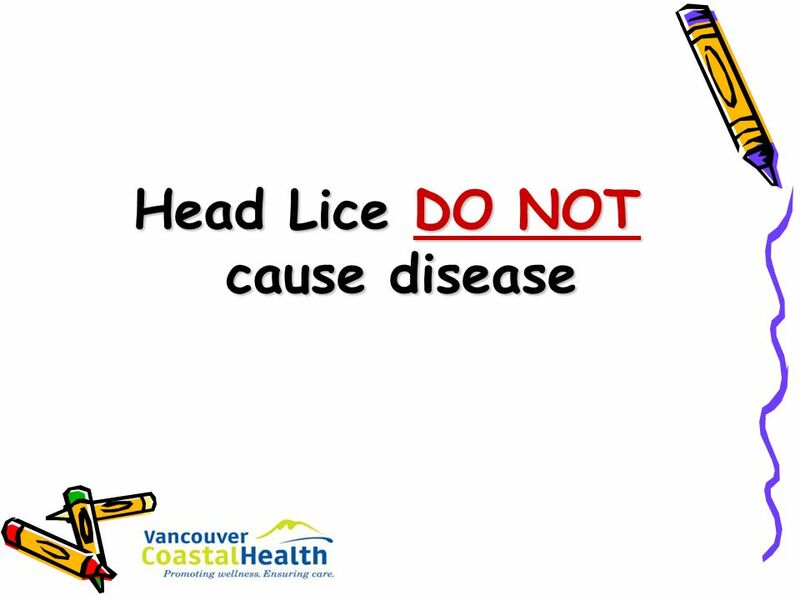 First comb the hair at the back of the neck, behind the ears and above the forehead. 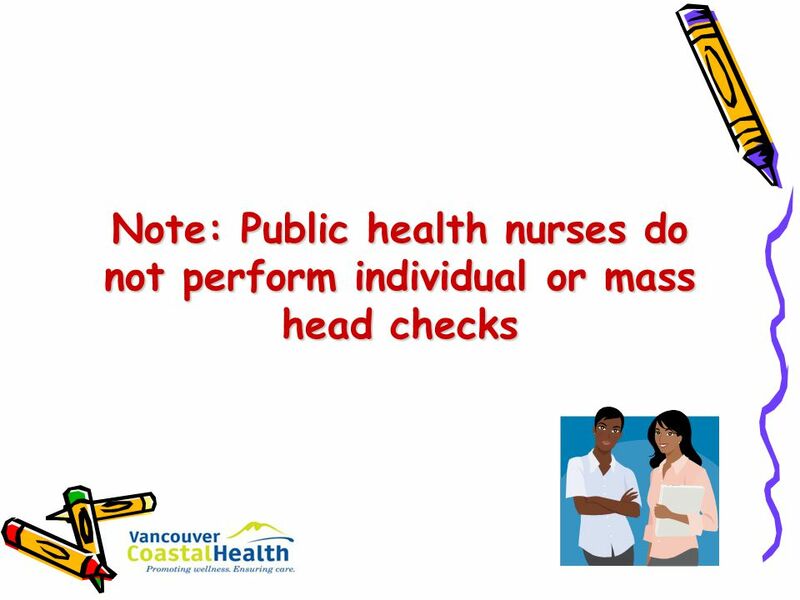 Then, check the rest of the head. 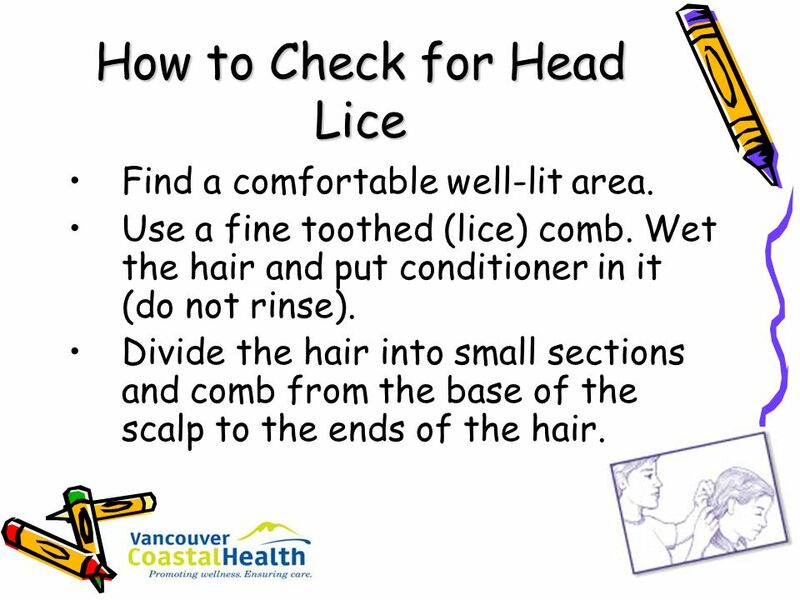 Look for live lice on the comb. 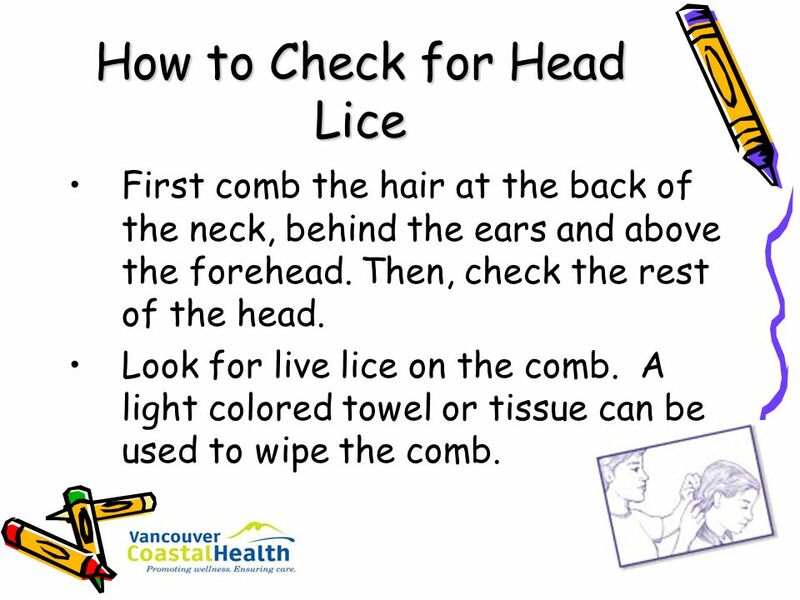 A light colored towel or tissue can be used to wipe the comb. 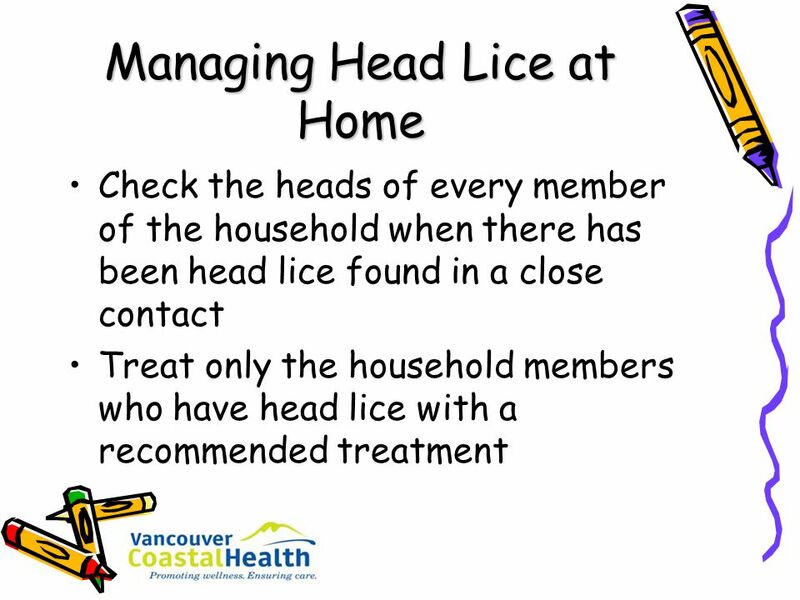 If you find a louse, check all household members. 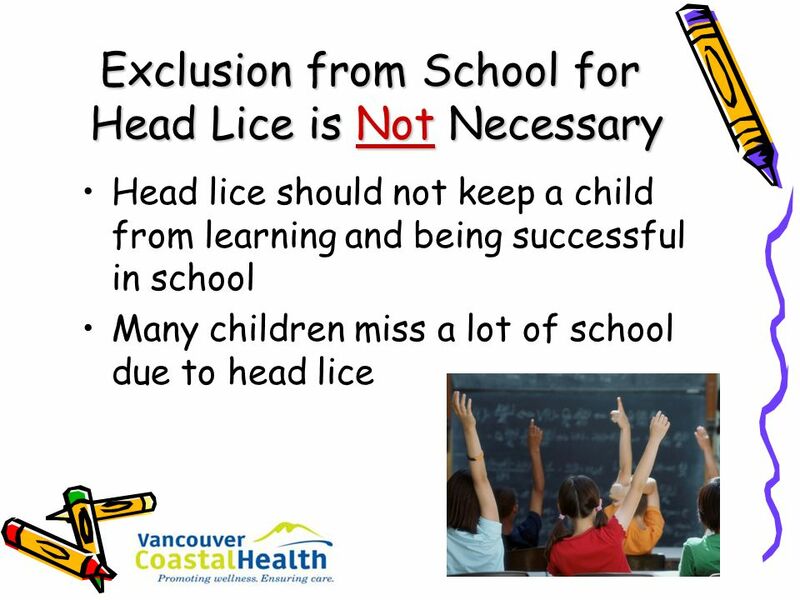 Treat only those who have head lice. 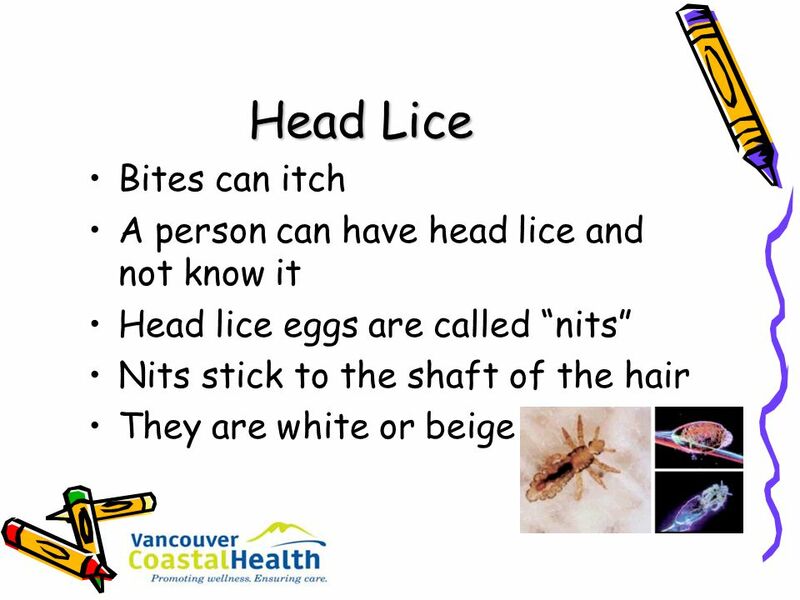 If you find nits only, check for a few consecutive days and again a week later. 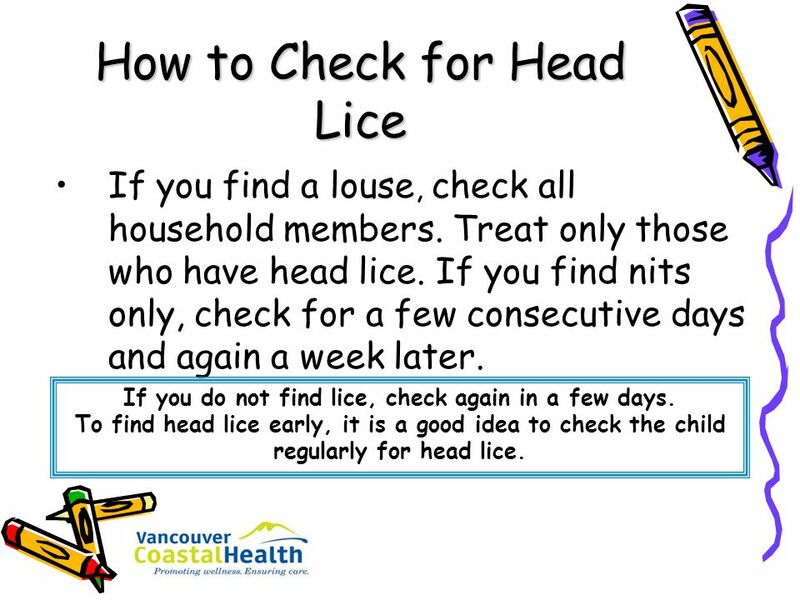 If you do not find lice, check again in a few days. 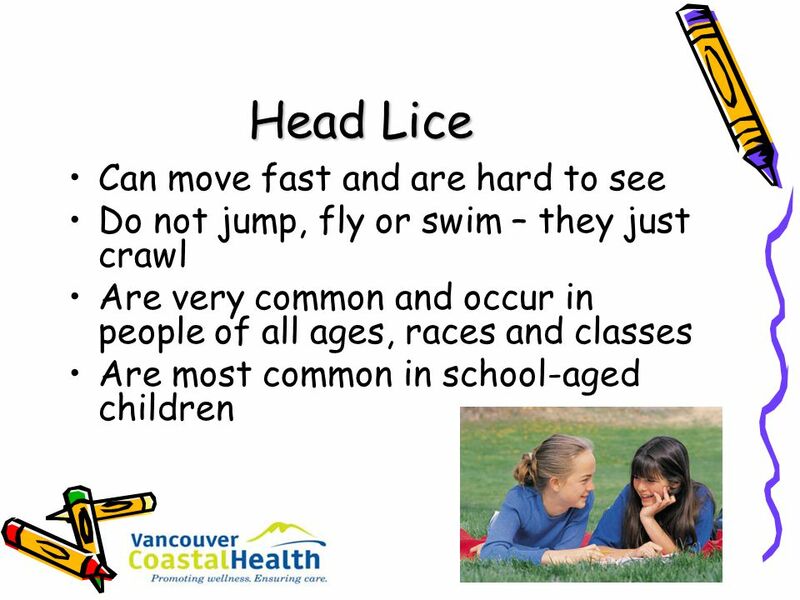 To find head lice early, it is a good idea to check the child regularly for head lice. 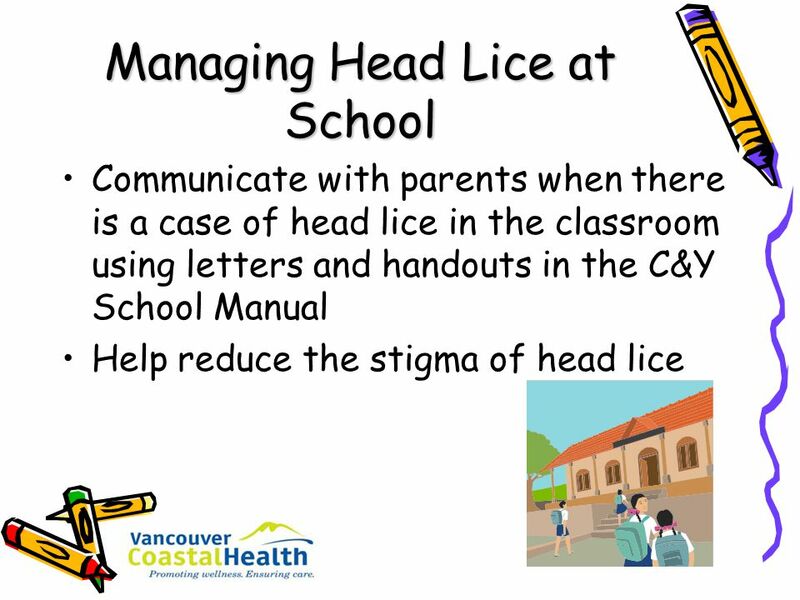 Provide schools with head lice resources Act as a resource for information about the management of head lice. 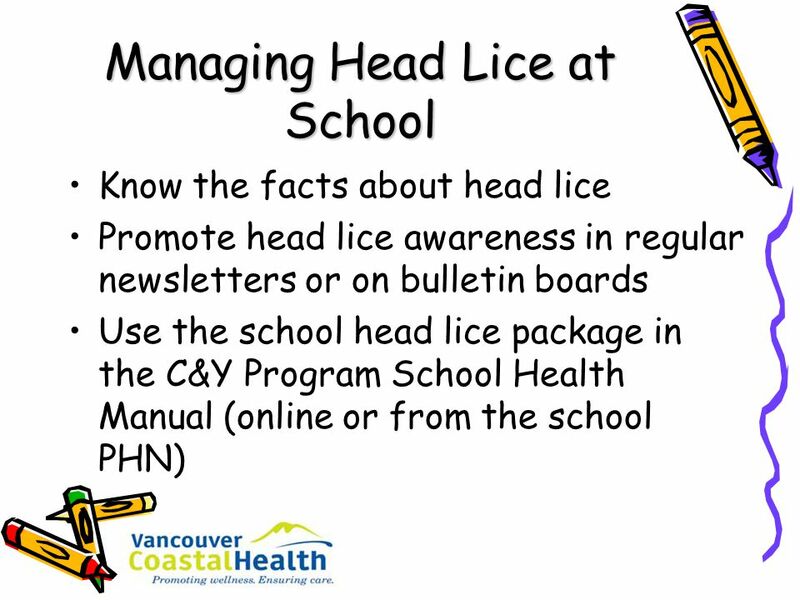 This may include speaking to parent groups or at staff meetings. 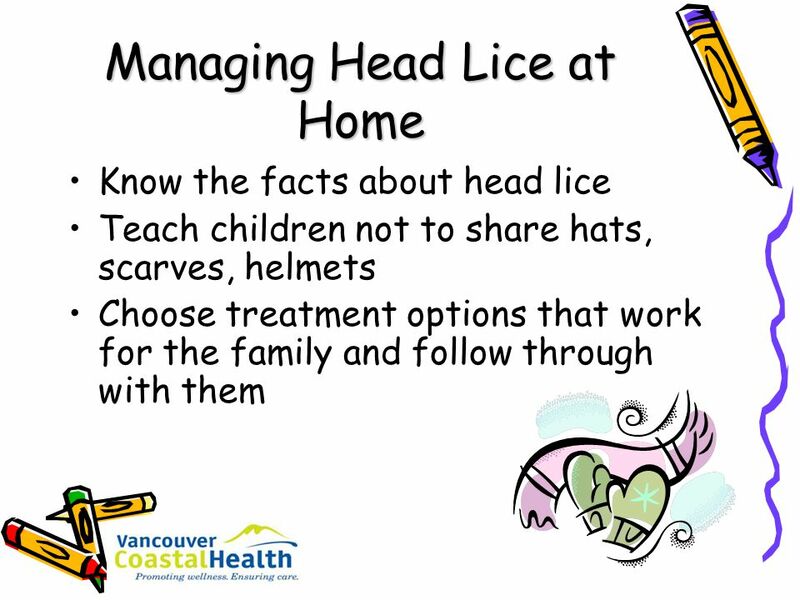 Support staff, parents and other caregivers to manage head lice. 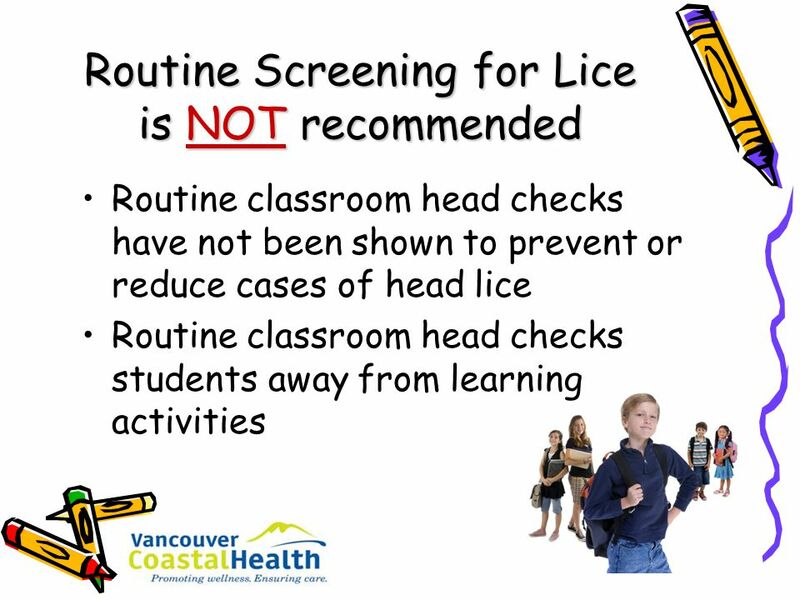 Download ppt "Head Lice: What You Should Know"
Head Lice for Schools January 23, 2007 je. 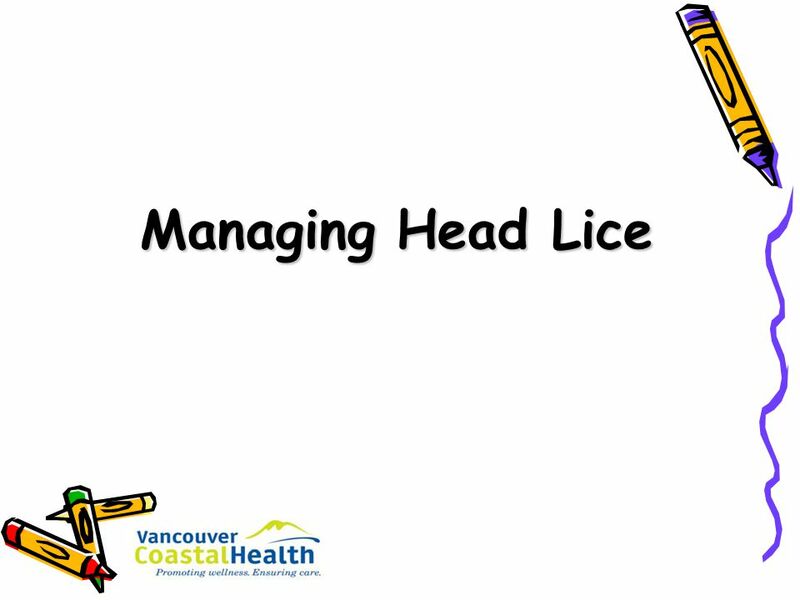 HEADLICE How to detect and treat head lice and nits. 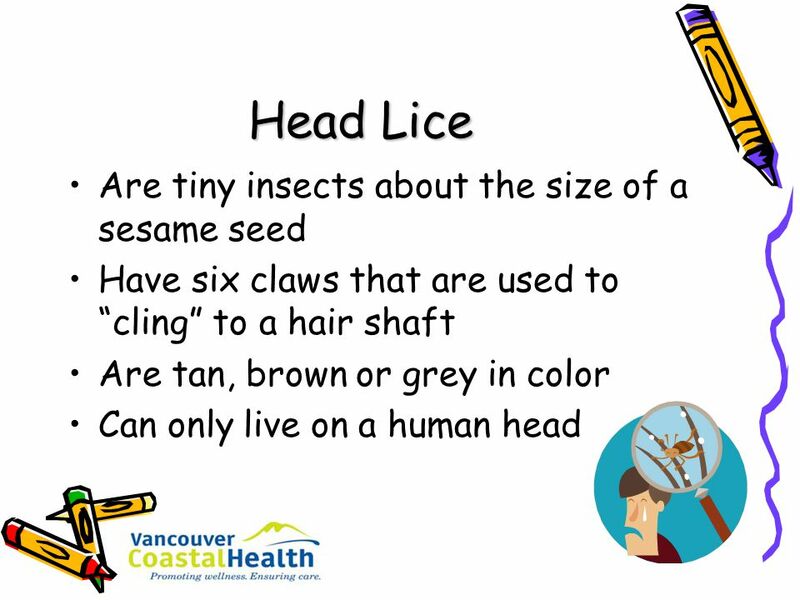 1 Head Lice Are you Scratching for Answers? 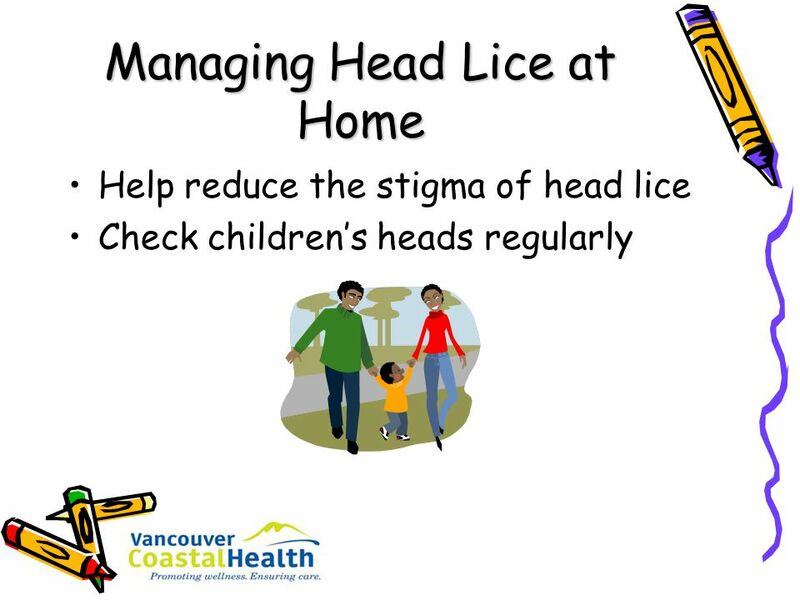 - A resource for children Department of Human Services, Victoria. 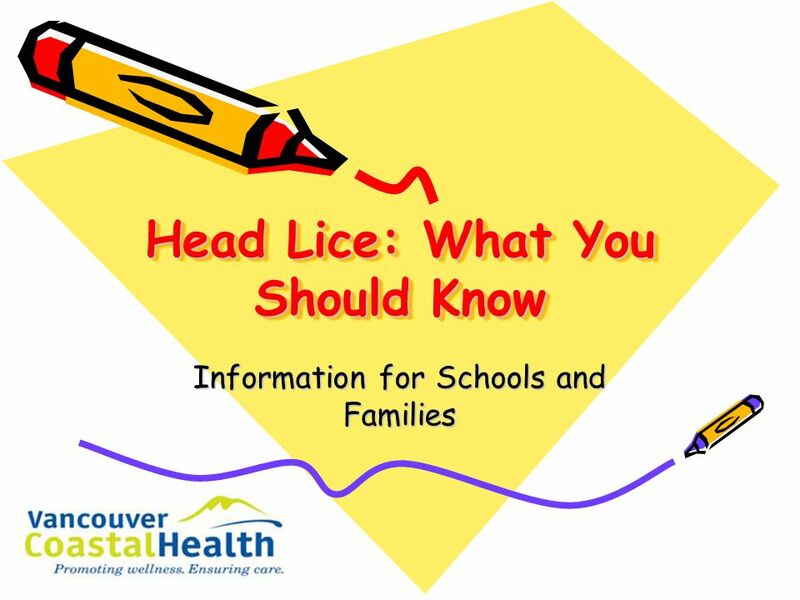 Head lice: Are you Scratching for Answers? 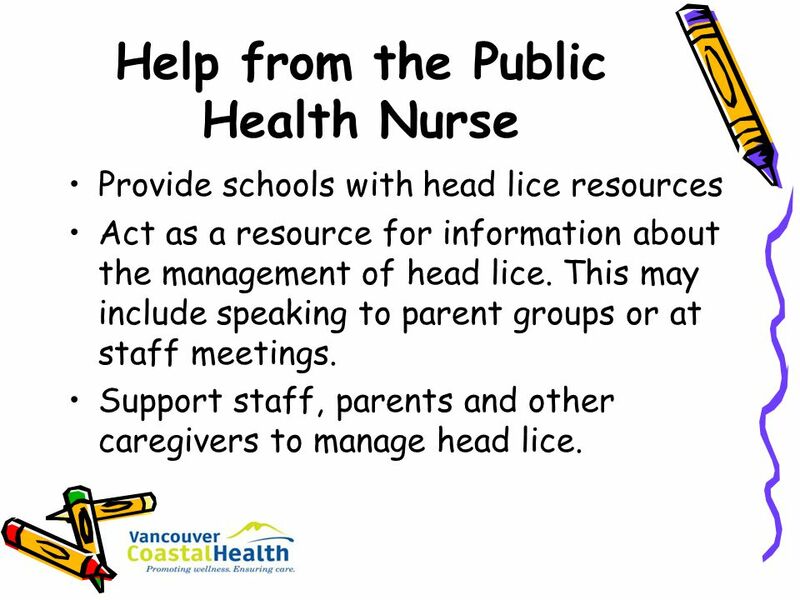 A resource for children.